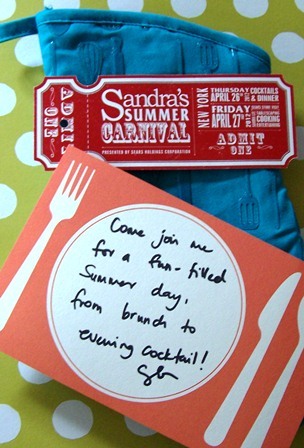 NYC for Sandra Lee's Summer Carnival. am full of inspiration and amazing memories. and oven mit from Sandra's collection. professional photos and some recipes later this week. But this is a great overview of the carnival. 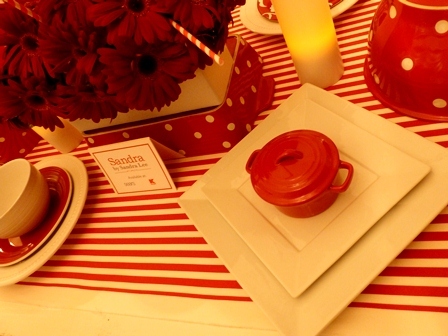 This event was held to celebrate the launch of Sandra's home collection, Sandra by Sandra Lee, which is available in Sears and Kmart stores. It was a great group - about 20 bloggers, the talented teams from Sears and Kmart and of course Sandra Lee. 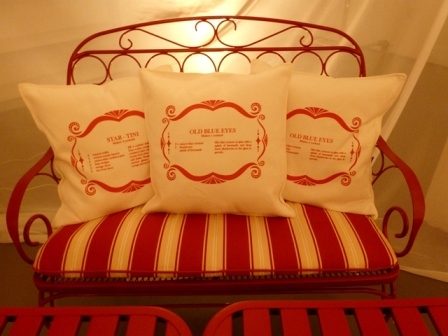 You have to love pillows with cocktail recipes! but, now, I think I LOVE her. 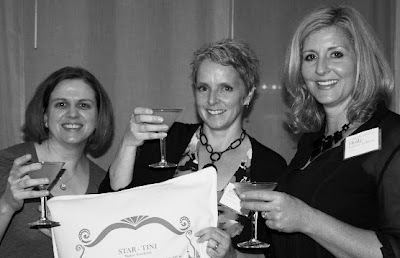 is sparkling and personable and she is funny! I was completely impressed with her in person. Sandra greeted us and made us feel like we were guests in her home. She even served us cocktails and hors d'oeuvres at the end of the event. So, you can say I am sort of in awe. Our trip was filled with extraordinary events and information. and the teams from Sears and Kmart. 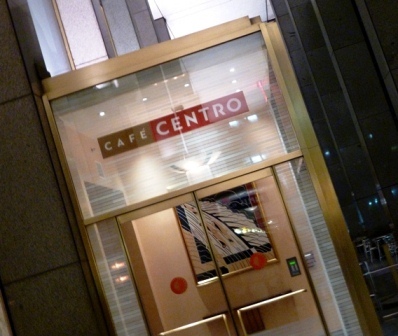 At our amazing dinner, we heard a presentation from Mark Bonchek on social networking. 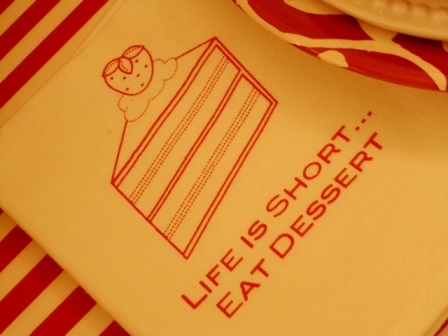 A perfect pairing to our meal and a spot on topic for all of us bloggers. 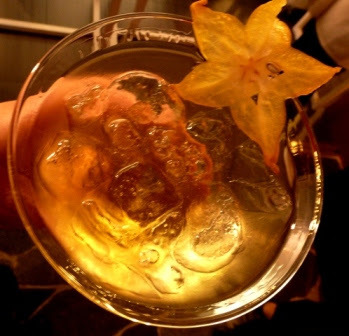 It would not be a party without a Sandra Lee cocktail! On Friday Morning we headed to the Newport Mall for a tour of Sears. 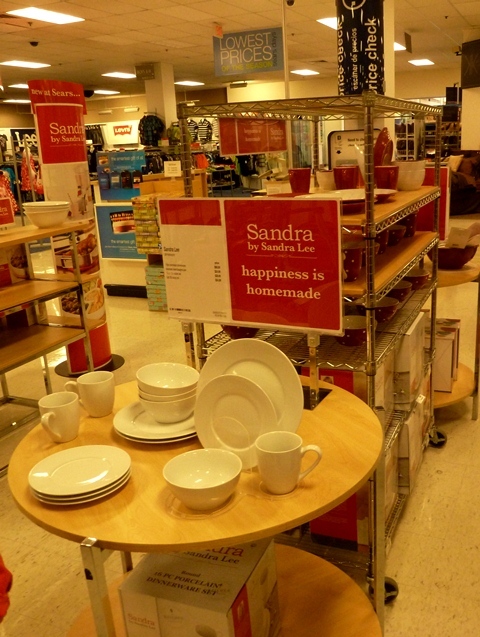 Here we saw the Sandra by Sandra Lee line on display. 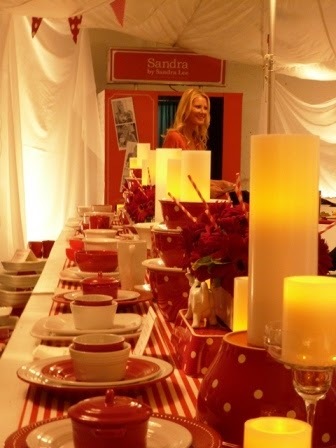 The Sandra by Sandra Lee home collection includes everything from dinnerware to tea towels to storage containers to small appliances like slow cookers and dispensing blenders. Meringue Margaritas anyone? Oh yeah! 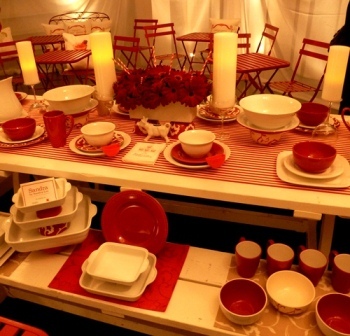 We were given insight into the designer collections and brands available at Sears. top brands like Hamilton Beach and Kitchen Aid. our afternoon of Sandra Lee awesomeness! 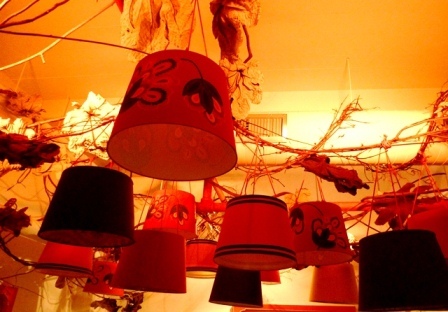 L-O-V-E the lampshades hanging from the ceiling. 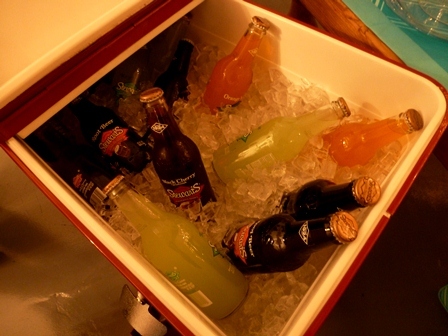 I do think I must do this for a party at my house very soon! Sandra entered and greeted us, and then we each walked a "red carpet" where we took a photo with Sandra (I'll share the professional photos later). or another anecdote as we met her personally. 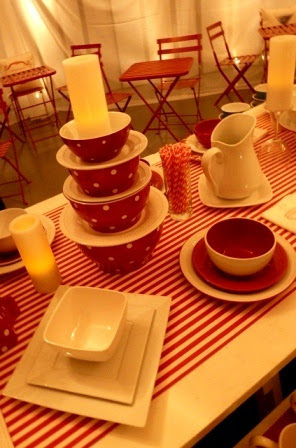 Then we entered the room where we would have lunch and it was decorated with a chic but lively and fun flavor...Just enjoy the eye candy for a moment. Love the use of carnival tickets, marshmallows, and storage containers to create interest and add height to the top of the buffet. 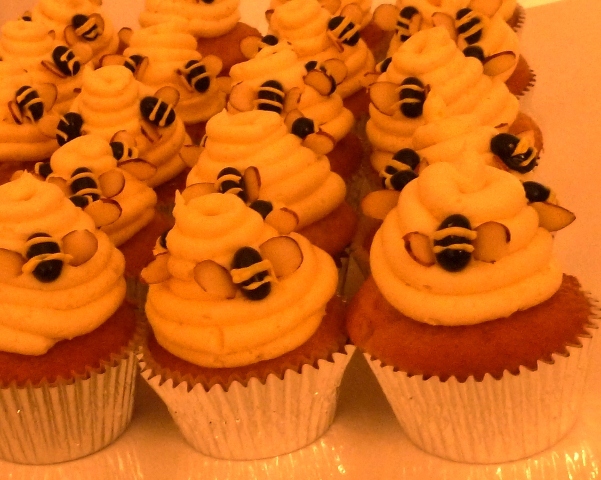 Cupcakes...how cute are those bees? 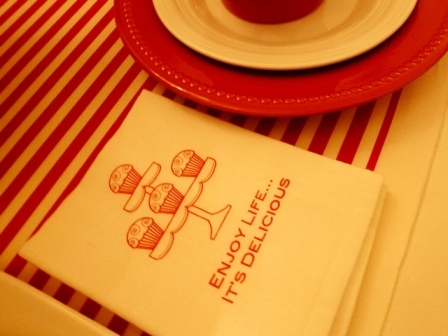 Sweet tea towels to use in the kitchen or as cloth napkins. 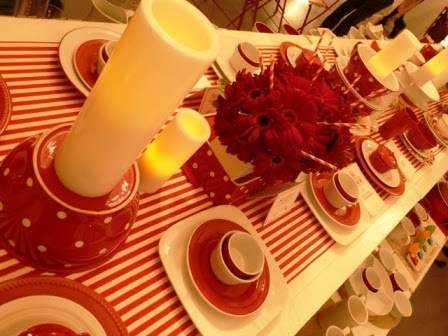 Did you know red is the #1 color for kitchen decor? her philosophy, and what was important as she created this line. She then talked to each blogger, getting to know them a little better. I was pretty darn impressed that she took the time to do this. 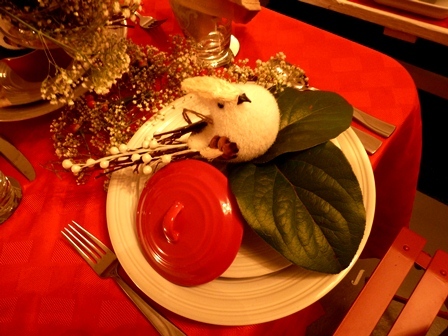 Sears/Kmart seasonal decor for the upcoming holiday 2012.
with sweet birds and tons of baby's breath. but guess what we had so much fun earlier that we ran out of time. which was better than decorating any cupcake! 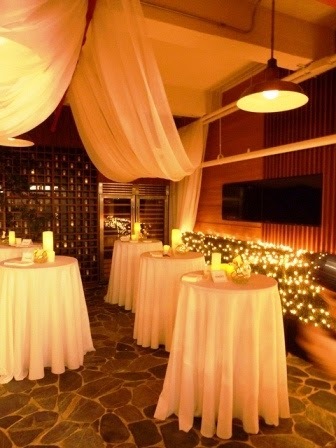 Then a "secret room"opened for another mix and mingle session. 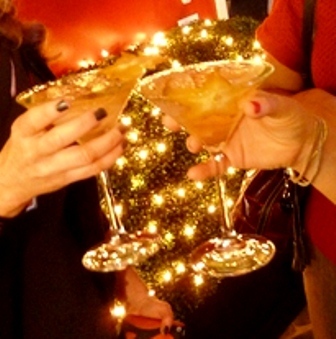 a few hors d'oeuvres, and more Star-tini's. As the afternoon wrapped up, the bloggers were invited into the kitchen area again to select some product. I will be honest, while I had my eye on a few things, this was a little awkward. I ended up getting lucky and managing to make it home with an indoor/outdoor electric grill and a few smaller items. 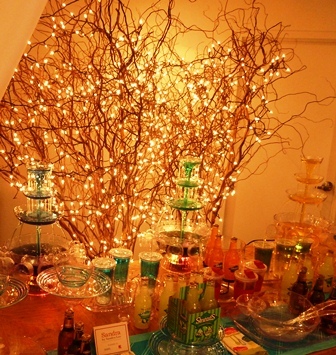 Sandra Lee for organizing and designing an amazing event. I was honored and thankful to be a part of it. 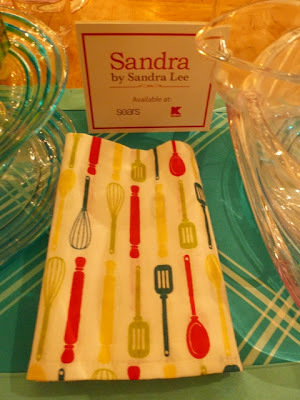 from the Sandra by Sandra Lee line. 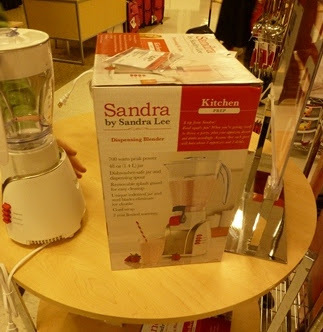 product sold by Sears through 5/26/2012. 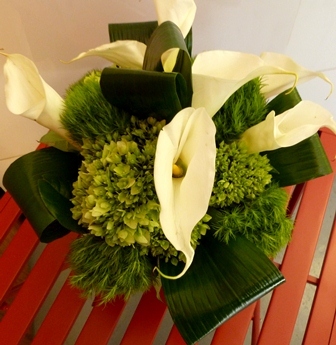 Enter coupon code BYSANDRALEE at checkout. Disclosure: I was invited t attend this even by through my participation/membership in Collective Bias and by Sears and Kmart. Travel arrangements and more were secured for me. All opinions and observations are my own. Lucky girl! This looks so much fun and I can't wait to see and hear more about this! Wow! It looks like you had such a marvelous time!! I love how they set up the area for you! Fabulous, Holly!! I've always been impressed with Sandra Lee as a tv personality so I'm glad to hear she's as great IRL. There have been times I have seen her make something on her show that I *had* to have for dinner that very night! :) Can't wait to hear more about it! That is awesome!!!! Thank you for sharing all the fun with us!!! I can't wait to see more about it! 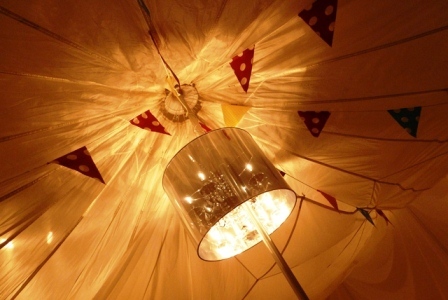 The tent area is such a fun idea for a dinner party, although I'm not sure I would have the room for it in my house:-) So, I have to ask because I am dying to know...how do they choose bloggers for these events??? You sure did have a good time! I love her. It looks like you had a wonderful time! Everything looks fabulous (even without the bigger camera) I'm excited to see your other posts! Wow - Holly!!! That looks like it was just the best time!! I'm so excited for you! It looks like they really appreciate the value of bloggers - that's great. I'll definitely be checking out her new line - it looks adorable! So, so fun! I love reliving it through all the posts! Wow Holly, you are so lucky, I wish I could have been there, I get Sandra's magazine each month, love everything about her. Thanks for sharing. Hey Holly I'm with everyone else. How did you get an invite to this fab event. I am insanely jealous. 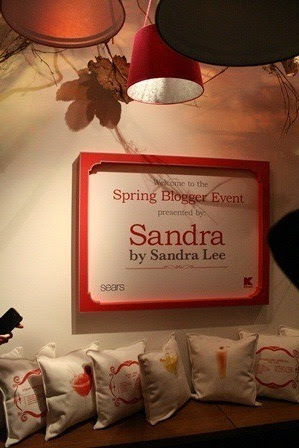 I love Sandra Lee as it is but this would be the ultimate to attend something like this. Your photos are gorgeous and wow you sound like you had an incredible time. OK....please share your secrets. 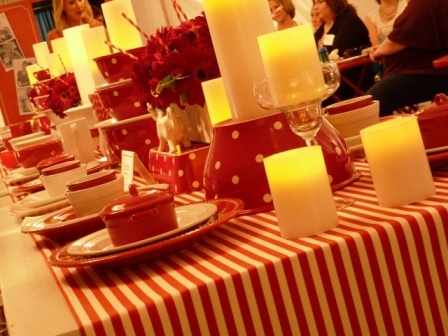 Pinterest Party #33! I am a Guest! Christmas in May Thanks to The Scoop!